Silver Sands Casino is an online casino that serves the South African online gambling market and is fully licensed by the Kahnawake Gaming Commission. Bonuses and promotions are available in South African Rand, and the banking options suit the South African clientèle. Other than that, the casino offers a variety of casino games to choose from and helpful customer service support. Claim a Free R200 No Deposit Bonus & R8,888 Deposit Bonus Package. To claim your free R200 no deposit bonus create a real player account and visit the Cashier section. Click on the Coupon tab and enter the coupon code: ZAR200FREE. Your account will be instantly credited with the free R200 bonus. Wagering requirements are 60 x bonus (R12,000) with maximum cash out R400. First Deposit 100% Match Bonus up to R1,888. Second Deposit 75% Match Bonus up to R3,000. Third Deposit 50% Match Bonus up to R4,000. The wagering requirement is set at ten times the deposit and bonus received. Please visit the casino for the full terms and conditions associated with all bonuses. Silver Sands Casino offers special weekly bonuses. Players must register at the casino and keep a lookout for bonus offers in their email inbox. Every Monday, players can receive up to 40% cash back with deposits of more than R1,000. For deposits of R1,000 to R10,000, you will earn 20% cash back, for deposits of R10,000 to R50,000 you receive 30% cash back and deposits over R50,000 receive 40% cash back. 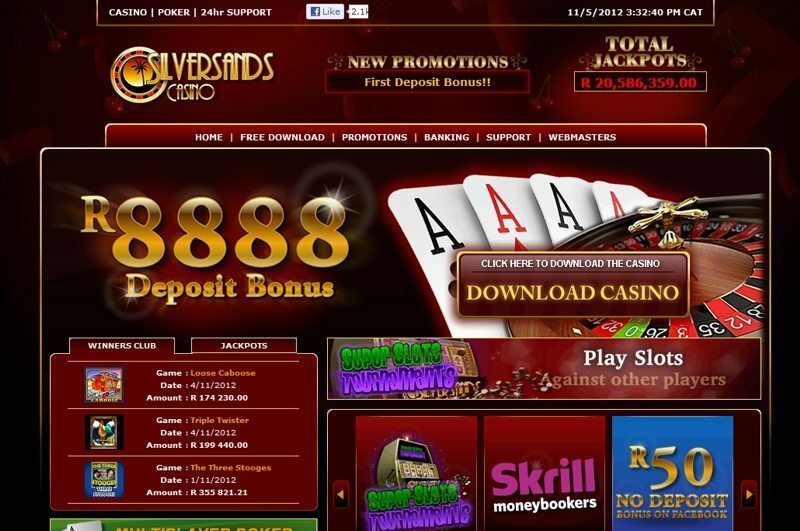 Silver Sands Casino is powered by the online casino software provider, Real Time Gaming (RTG). It could not be easier to begin playing at the casino. Just download and install the software and then open a real money account. You can play in real money mode or fun mode. The casino provides tutorials on the games for those who are new to online casino gaming. 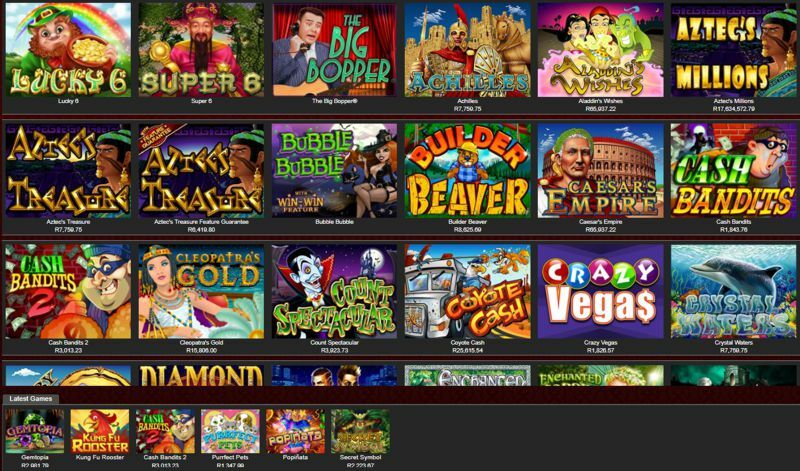 At Silver Sands Casino you can enjoy some of the favourites in online gaming – blackjack, roulette, baccarat, craps, let ’em ride, pai gow, red dog, war, keno, video poker and slots. The casino processes all transactions in South African Rand. All withdrawals are processed within 2 working days and may take up to 72 hours to be transferred. Exciting slots tournaments also give players the chance to win. Players earn comp points as they play. Every time you place a bet at the casino, you will earn comp points, and these can be accumulated and later redeemed for casino cash at the cashier. If you have any questions when playing at Silver Sands Casino, you can access the FAQ section on their website. This section provides the answers to many general enquiries. If you do not find the answer to your question in this section you can contact their customer service team 24 hours a day seven days a week. They are available via telephone and email. If you require assistance regarding payments, you can contact customer service from 9 AM to 5 PM, Monday through Friday.